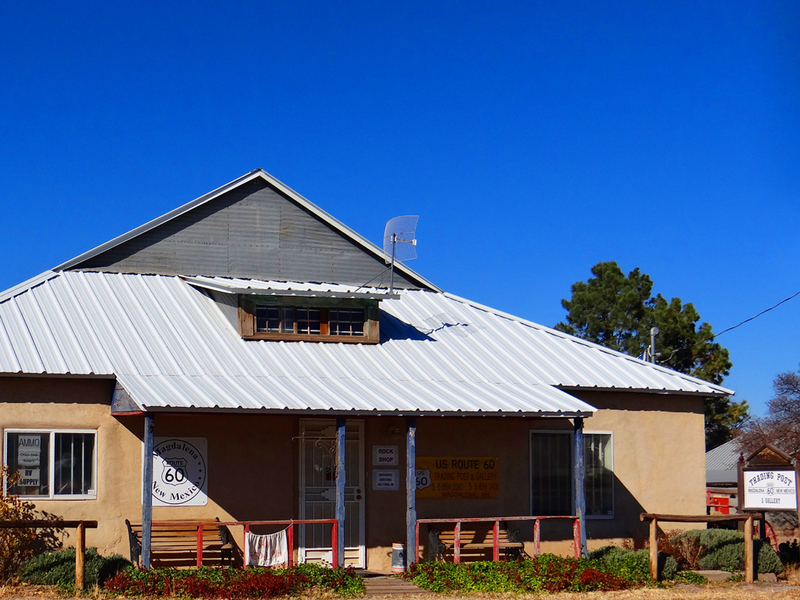 Route 60 Trading Post officially opened its doors on December 11, 2004 in the tiny mountain village of Magdalena, New Mexico. Owner and operator James Chaves is a fifth generation rancher whose family has been ranching north of Magdalena near Alamo since the 1800’s. Magdalena, New Mexico has always been a part of Mr. Chaves’ life and felt that he wanted to contribute more to the small village. Magdalena was listed as one of “The 100 Best Small Art Towns in America” and Mr. Chaves believes that local art is a valuable commodity that brings business to the village. As an artist himself Mr. Chaves enjoys, painting, woodworking, and appreciates anything handmade. Many art enthusiasts have traveled on Highway 60 to the village of Magdalena to get a first-hand look at the authentic New Mexican art work. Route 60 Trading Post features handcrafted art such as, jewelry, furniture, paintings, metal and wood work just to name a few. Mr. Chaves’ cousin, Victor Chavez who is a well-represented silversmith and his wife Geneva who makes beautiful jewelry help Mr. Chaves run the gallery. Their works along with Mr. Chaves’ prints are featured throughout the gallery.